Looks like the infamous heat machine Qualcomm Snapdragon 810 will be put to rest now as Qualcomm Snapdragon 821 is on the cards. The only successful smartphone which didn’t turn out to be a heater with SD 810 was Nexus 6p. A while back Snapdragon 820 emerged and slowly it has started to roll out with all the new high-end specification smartphones, clearly emerging as a winner. As Qualcomm said, the innovation didn’t stop at Snapdragon 820, they have now announced the successor of SD820, Qualcomm Snapdragon 821. With Snapdragon 821, Qualcomm claims to have improved speed & performance by over 10% in comparison with SD820. With CPU clock speeds of upto 2.4Ghz, SD821 is meant to set a new benchmark in terms of performance. 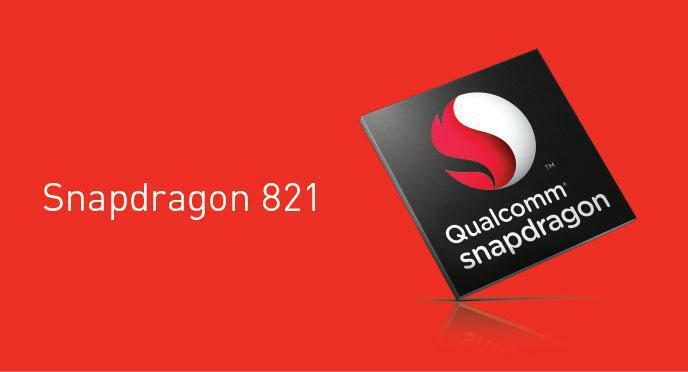 Snapdragon 821 will also be a Quad-Core chip, based on the custom Kryo cores (like SD820). Some of the most high-end smartphones including the Samsung Galaxy S7 / Galaxy S7 Edge, Xiaomi Mi5, LG G5, HTC 10, LeEco LeMax 2 are powered by Snapdragon 820. There are plenty of upcoming phones already under speculation which are supposed to come with SD820. Probably Samsung Galaxy Note 7 or the New Nexus 2016 phones might come with Qualcomm Snapdragon 821.